The end of season presentation night was held last night and Jason Stevens, Blair Atkinson and Andy McQueen walked home with the awards. Stevens was voted players’ player of the year, McQueen picked up the committee’s player of the year and Atkinson was awarded Chris Anderson’s manager’s player of the year. Atkinson and Stevens formed an electric partnership over the season with the former topping the scoring charts with 17. Stevens proved to be quite a talismanic figure, picking up 12 goals of his own including some spectacular strikes. At the other end goalkeeper McQueen was a formidable presence, with Honorary Vice-President Stanley Clifford commenting that he and Honorary President Keith Brown reckoned he was a stand out over the course of the season. Anderson thanked the players for their efforts but reserved most praise for the club’s devoted band of volunteers who work tirelessly to keep the club running. He also expressed a desire for everyone involved to keep pulling in the same direction to make the club successful. 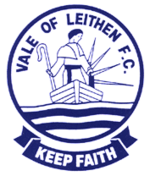 Ryan Currie has extended his stay at Vale of Leithen for another season, along with the majority of last season’s squad as Chris Anderson starts to piece together plans for next season. The former Livingston midfielder joined in March after a short spell at East Kilbride and impressed in midfield in the latter stages of the season. Anderson was keen to secure his services for another year and fortunately the player had a similar desire to do a deal. The gaffer recently spoke of a desire to keep developing and he has also now revealed that some new signings will be made to supplement the existing group. Anderson said: “I’m delighted Ryan has agreed to sign again next season and it shows the ambitions of the club when a player of his calibre signs.